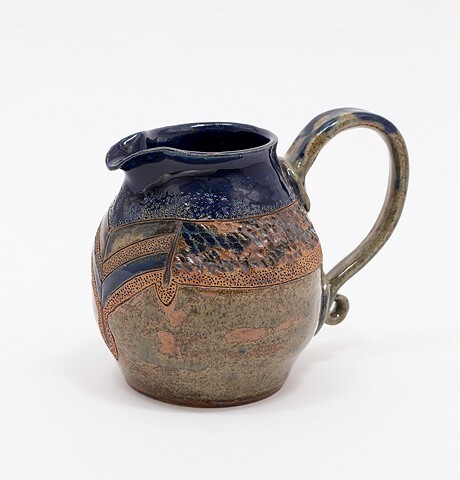 Sediment, layers, adornment – Mirroring the dip of the spout, the design curves deeply towards the foot. At the base of the neck, the angle of the patterned layers exaggerates the elegance of the vessel’s profile. In contrast, the simple, celadon body recedes beneath the adorning textures.